Gluten free puff pastry? Yes! Make your own pastry treats for any occasion with our gluten free puff pastry. Our pastry is "full puff" meaning it is made with layers of butter laminated between layers of gluten free dough. 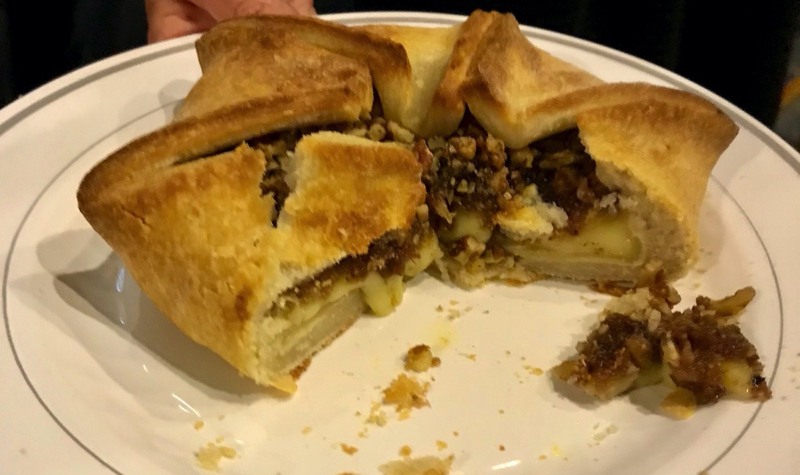 Our puff pastry can be used as pie crust too. Please note: Our puff pastry is made with butter, and butter is a form of dairy (MILK). Our puff pastry is produced in a dedicated gluten free bakeshop with certified gluten free and non-GMO ingredients. Puff pastry is a laminated dough with layers of butter (typically, though other solid fats can be used) alternating with layers of dough. 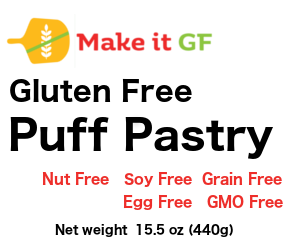 Make it GF’s puff pastry is made with salted butter and our own gluten free flour. We used salted butter because the ingredients list consists of cream (from milk) and salt. 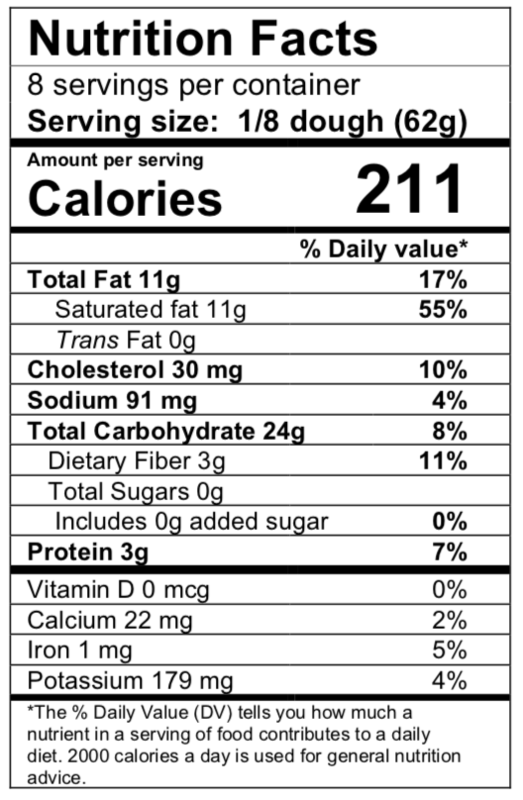 Unsalted butters often include “natural” flavorings, which is a red flag for those looking to avoid allergens. It is critical when working with puff pastry (whether gluten free or not) is to keep everything very cold. 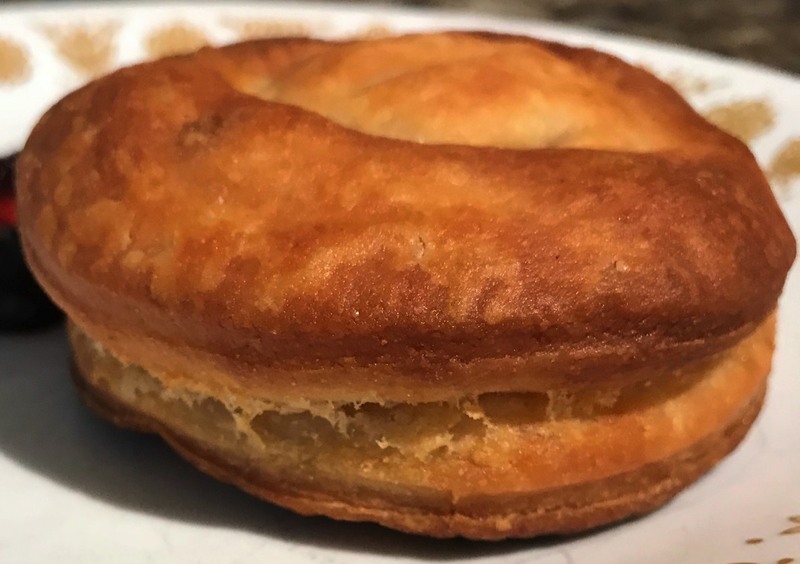 If the puff pastry warms to room temperature, the layers of butter and flour will melt together, and you won’t get the puffing you want during baking. Keep the dough in the refrigerator until it’s time to roll it out, then (if you have time and space) put it back into the fridge after rolling it out to cool it back down. To get the best puffing, you want the edges of the pastry to be “clean” and not compressed. The easiest way to get clean edges it to cut or trim the edges of the pastry after rolling it out to the desired size. Cutting the pastry into shapes with a cookie cutter can have the same effect. If you are making a tart or putting filling between two layer of puff pastry don’t crush the edges to seal the packet. put a small amount of a water/cornstarch slurry or an egg wash between the layer and gently press together to seal. Try not to get the slurry or egg wash on the edges or they won’t puff. Once your pastry is formed, put it into the fridge to cool until you are ready to bake it. It is also critical to bake the puff pastry at a high enough temperature. Too low an oven temperature will mean that butter and flour layers will just melt together. They will still be tasty, but they won’t have the flaky layers. 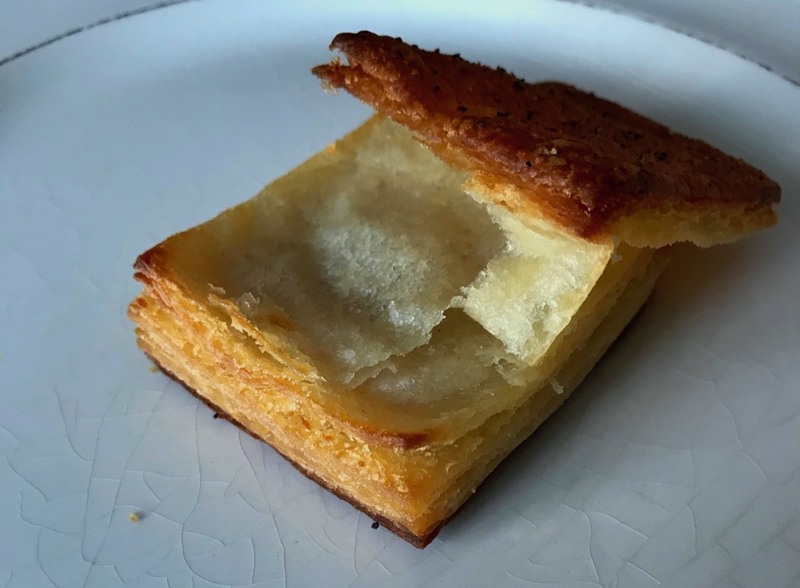 It sounds and reads more complicated than it is, but I hope this will help anyone who is unfamiliar with puff pastry.